Need a filling in Anchorage? If you have been diagnosed with cavities, you have choices in your care. Dr. David Green offers several different types of restorations in different materials to accommodate the diverse needs and preferences of his patient base. Each comes with its own set of advantages and disadvantages, and there is no one-size-fits-all solution. Some patients may opt for inlays or onlays, but fillings are widely used to restore teeth with decay. 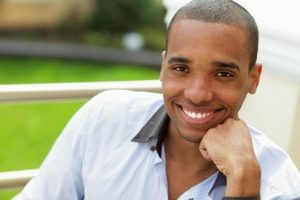 For patients that want to repair a decayed tooth while preserving its natural appearance, tooth-colored fillings are a good option. Matched to the natural tooth color, these fillings are virtually undetectable in the mouth. 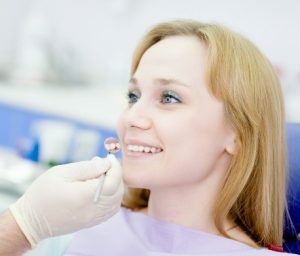 If Dr. Green or another dentist has found a cavity in your mouth, you should have it filled as soon as possible to prevent bigger dental problems down the road. Please schedule an appointment at Turnagain Dental by calling us or sending us an email. Tooth-colored fillings, otherwise known as composite fillings, are matched to the exact shade of the natural tooth, making them a great option for cavities in visible areas of the smile, such as the front teeth or along the gumline. Because the composite is matched to your natural teeth, there is no discoloration of the tooth, or “shadowing,” as there can be with silver amalgam fillings. Another advantage to composite fillings is that the material, which is made from a mixture of tooth-colored plastic and glass, bonds directly to the tooth. This supports and strengthens the remaining tooth structure. It can prevent chipping and other damage. Composite fillings can be used for other reasons besides cavities; sometimes, Dr. Green uses them to restore extremely worn teeth, or teeth that are broken or cracked. Placing a tooth-colored filling usually takes one appointment. Prior to placing the filling, Dr. Green first removes all decayed tooth material and cleans the affected area of the tooth. He can blend composite shades to create a color that matches the natural tooth structure. Dr. Green places the composite filling material in layers, using a special light to harden each layer, and shapes it to fit the tooth. Once Dr. Green has finished placing the composite material, he polishes it so it looks translucent (like natural tooth enamel). Polishing the filling also prevents staining and premature wear. In some cases, he applies a clear, plastic coating over the filling to prevent the color from changing, although this is an optional step. At the end of the appointment, Dr. Green will give you detailed instructions to care for your new filling. Composite fillings can last a long time with the proper care and attention. They are strong and durable; however, they are not considered permanent. Most people with composite fillings end up needing to have them replaced at some point. If you would like more information about your filling options, Dr. Green can sit down with you to discuss the options and find one that is right for your needs and preferences. Please call or email Turnagain Dental to schedule a consultation with Dr. Green.